We use premium melon mainly from Yubari, Japan's melon Mecca. Yubari melons account for just one percent of melon production in Japan. They only flourish in Yubari, where conditions are just right. They’re the hardest type of melon to grow. Growers have to monitor the melons carefully, as though they were their own children, and harvest them on exactly the right day to capture their fabled sweetness, but they're cuts above the rest. 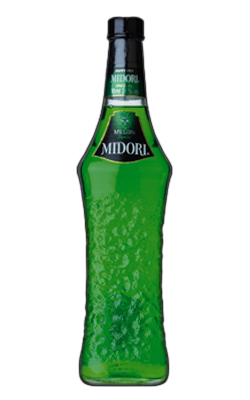 MIDORI really is one of the most versatile liqueurs.